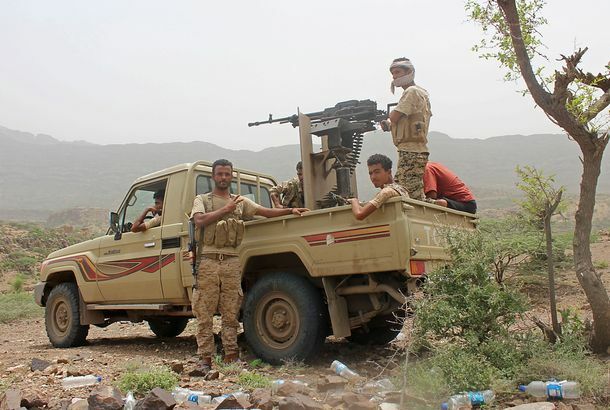 While Condemning Iran, the U.S. Contributes to Terrorism in the Middle East, TooAs Iran sanctions were restored, an investigation revealed that the U.S.-backed coalition fighting Yemen’s Houthis routinely cut deals with Al Qaeda. U.S. to Restore Draconian Sanctions on Iran (Over Allies’ Objections)The White House will punish the Iranian people for allowing their government to defy America’s will, diplomatic and humanitarian concerns be damned. Trump’s Iran Strategy: Regime Change on the CheapThe administration wants to see the Islamic Republic overthrown, but is hoping the Iranian people will do it for us. This can’t end well. President Trump Threatens Iran in All Caps on TwitterHappy Monday, everyone! 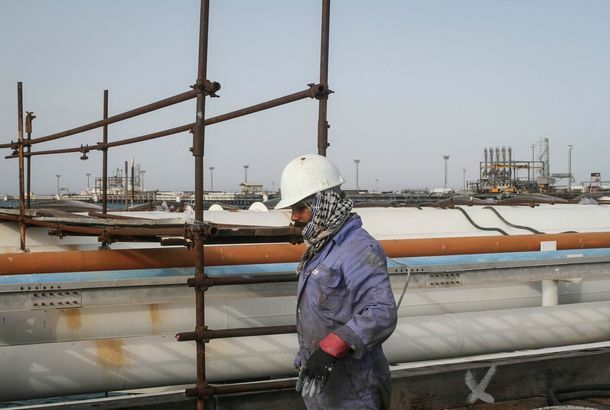 Trump Press Allies to Quit Importing Iranian Oil By November 4The president appears to be engineering a spike in energy prices on the eve of the midterm elections. Trump Pushes a New International Order Based on U.S. BullyingThe administration thinks military might, and threatening to use it, are key. Iran and North Korea developments show the plan is off to a shaky start. Pompeo Unveils Hyperaggressive Iran Strategy That Hints at Regime ChangeA set of demands the secretary of State knows will go unfulfilled. Trump’s Iran-Deal Exit Has Raised the Risk of War, Even Faster Than ExpectedIsrael and Iran are running out of reasons not to escalate their low-key conflict in Syria into a broader regional catastrophe. Will California Voters Blame High Gas Prices on Democrats or Trump?Gas prices are rising everywhere, but especially in California, where higher taxes are coinciding with Trump’s unsettling Middle Eastern policies. Iranian Lawmakers Burn U.S. Flag, Question Trump’s ‘Mental Capacity’Burning the American flag is not rare in Iran, but this appears to be the first time it’s ever happened on the floor of the country’s parliament. 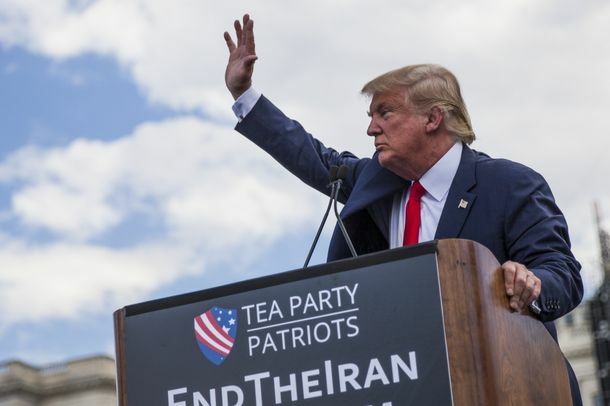 What Happens After Trump Pulls Out of the Iran DealThe agreement doesn’t stop existing the moment Trump reimposes sanctions, but it’s hard to see how it can survive in the long run. 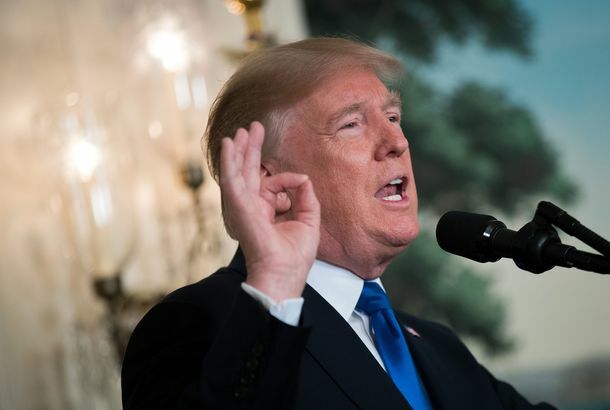 Iran Gains, Then Loses, Nuclear Weapons Program in White House ‘Clerical Error’The White House said Iran has, rather than had, a nuclear weapons program in what might be its most impressive typo yet. Trump Buys Netanyahu’s Bad Case for Abandoning the Iran DealThe Israeli prime minister’s alleged bombshell offered no evidence of Iranian noncompliance and ample reason to keep the nuclear agreement in place. America Is About to Risk a World War to Defend the Credibility of Trump’s TweetsOfficials say Trump is likely to go through with a Syria strike over his Defense Secretary’s objections — because he said he would on Twitter. Strange But True: Headlines From the Middle EastFor years, people have talked about what the Middle East would look like if the United States took a more limited role. That time has come. Israel’s War With Iran Comes Out of the ShadowsSaturday’s clash signals that Syria could become the theater for a direct confrontation between two of the most powerful states in the Middle East. 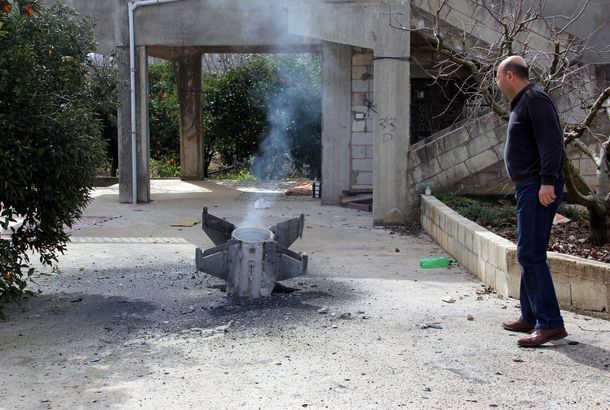 Israel Conducts Air Strikes on Iranian Targets in SyriaIt was the first time Israel has directly targeted Iranian military forces, and marks a dangerous escalation in the conflict. 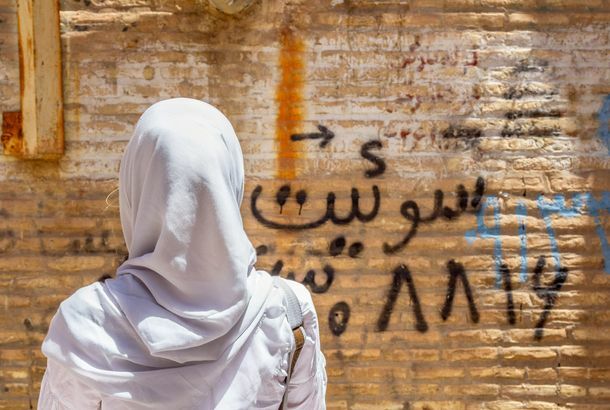 Half of Iranians Are Against Mandatory HijabsA report was released after 29 women were arrested for protesting the mandatory veiling law. 29 Women Arrested in Iran for Protesting Mandatory-Hijab LawsMore and more women are pushing back against the country’s strict dress code. Why Women in Iran Are Waving Their Scarves on SticksThey’re protesting the country’s strict dress code. What the Hell Is Happening in Iran?Two people have been killed and some social media is being blocked as widespread protests continue. The U.S. and Israel Just Admitted the Iran Deal Is Worth KeepingBut Trump just might kill it anyway. 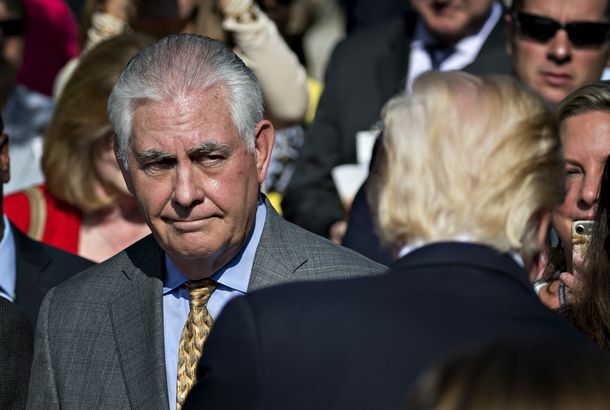 Trump to Put ‘Quartet of Warriors’ in Charge of Foreign PolicyRex Tillerson’s dismissal will be no surprise. But the military-heavy character of the new team that will ascend to power in his absence is ominous. Could the Curious Case of Reza Zarrab Lead to the Downfall of Michael Flynn?Federal prosecutors have flipped the Turkish businessman accused of helping Iran evade U.S. sanctions. What might he know about Flynn? Powerful Earthquake Near Iran-Iraq Border Kills HundredsThe 7.3 magnitude earthquake was felt as far away as Israel. Trump’s Case Against the Iran Deal Was Hallucinatory PoppycockA list of the president’s craziest claims. Trump Tried Reality-TV Tricks in His Iran AnnouncementBut the substance was unmistakable: aggressive posturing accompanied by a punt on most of the major points. Trump Is Letting Congress Determine the Iran Deal’s Fate. Here’s What It Can Do.Trump is hoping lawmakers will help him drive a tougher deal, but he shouldn’t count on that. Trump Teases That He’s About to Launch a Major War (Again)Trump assures Americans that they will soon “find out” why he said “it’s the calm before the storm” while posing with military officials last night. How Tillerson Is Trying to Save the Iran Deal From His BossIf you can’t work with a moron, work around him. Trump Decertifying the Iran Deal Won’t Kill It — But There Will Be Dire EffectsHis reported plan to wound the agreement would anger U.S. allies, and make the delicate situations in Iran and North Korea more dangerous. 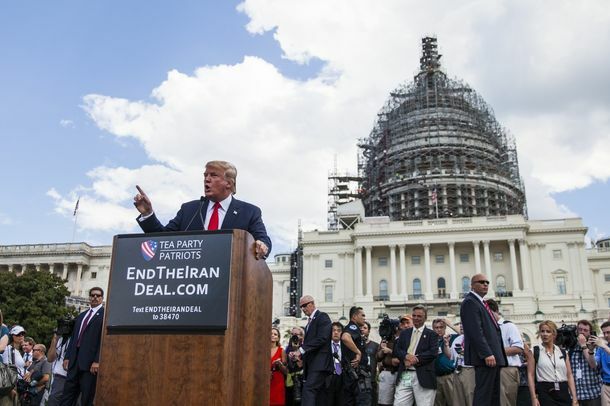 Trump Plans to ‘Decertify’ the Iran Nuclear Deal Next WeekThe move will kick the deal to Congress, which will have 60 days to decide how to proceed. Trump Duped by Old Footage of Iranian Missile TestTweet, but verify. Trump Says He’s Made a Decision on Iran Deal But Won’t Say What It IsHe’s treating foreign policy like reality TV.